Our humble beginning... What started out as an effort to save a vanishing breed of horse became a journey of enriching the soul and helping others. In the process of working with these magnificent animals, we connect to our own true nature and inner strengths. We discover dreams that had been left behind and are waiting to be fulfilled. Where one goes with these experiences is powerful and limitless. The Facilitator: Joanna DeRungs (pictured above) has been immersed in horses, movement arts, communication, and leadership most of her life. She first worked with horses on a family farm, then later advanced through the corporate and technical world at the management and executive levels. She has studied many methods and philosophies throughout her life: dance, long distance running, Tai Chi and Qigong, as well as most horse riding disciplines, liberty work and equine experiential learning. She brings all of this into her experiential work with people and horses at her private farm facility in the form of Natural Whisperings™. 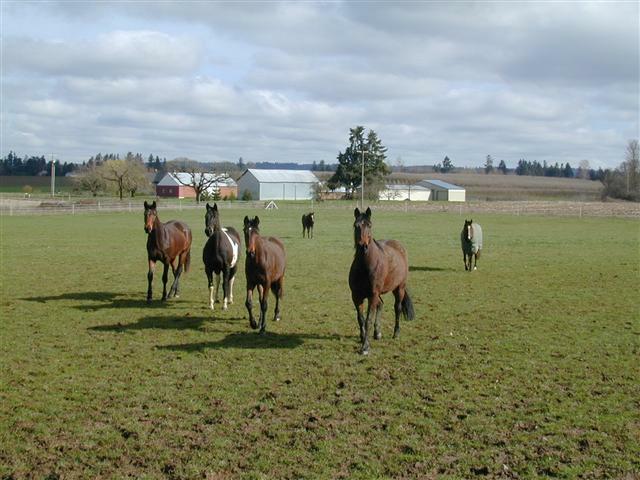 Like us, horses are social animals, who love interaction, playing and generally hanging out together. 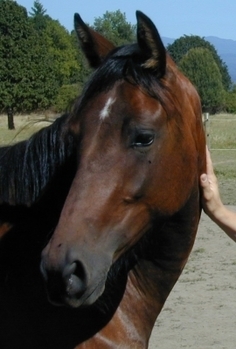 As prey animals, horses are highly sensitive and aware creatures. They miss nothing. This is especially evident when horses are working with humans. Although we don't always see what they are seeing, they reflect us like mirrors, back to ourselves, by matching or reacting to our energy and feelings. There is no truer honesty than what comes from a horse. Working with horses helps us to see ourselves better. However, not all sessions at Natural Whisperings are done with horses. See the Offerings page for other experiences. Why are horses in herds? Being herd animals by nature, horses depend on one another for a number of things, from social nurturing to triggers for quick survival responses. Horses tend to be non-predatory leaders. They do not protect territory or aggressively power over each other as a general rule. Although you may see a horse put another in its place from time to time out of necessity, leadership is given out of respect for an individual's wisdom and knowledge, not due to pure dominance. As a horse, it is important to know the best herd member for a specific job and how one's own special skills fill a need in the horse community. Every horse has something to contribute to the herd. Herd leaders are wise enough to know when to lead and when to let other herd members shine through. Our horses willingly share herd wisdom with humans who care to observe and listen. Come connect with horse wisdom today!